This price includes your room (for one attendee), all your meals* (breakfast, lunch, and dinner), the facilities fees, and taxes. This price includes your room (two attendees sharing the room), all your meals* (breakfast, lunch, and dinner), the facilities fees and taxes. This price includes your room (three attendees sharing the room), all your meals* (breakfast, lunch, and dinner), the facilities fees, and taxes. This price includes your room (four attendees sharing the room), all your meals* (breakfast, lunch, and dinner), the facilities fees, and taxes. Nestled along the shoreline of California’s famed Monterey Bay, Asilomar is a tranquil oceanfront retreat cradled by pine forests and white-sand beaches. Asilomar sits within the cozy confines of an 107-acre California State Park and offers overnight lodging with views of the forest, surf, and sand. 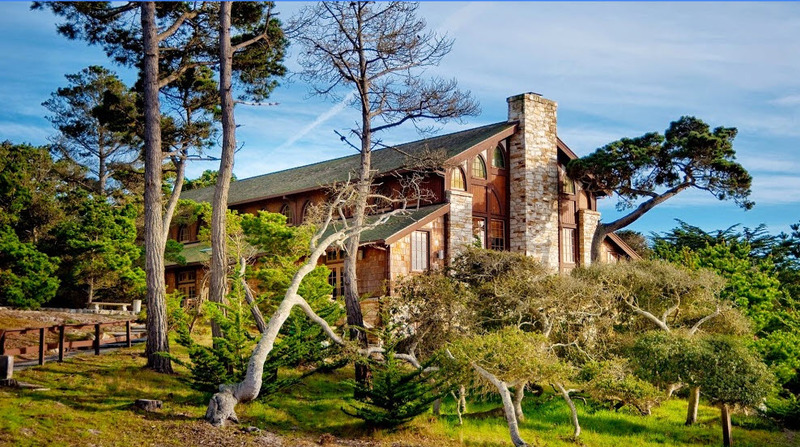 Designed by acclaimed architect Julia Morgan and embracing the Arts and Crafts architectural style, Asilomar has played host to thousands of guests and groups since its founding in 1913. Once on the grounds, you’ll discover this refuge by the sea is steeped in history and natural beauty. Asilomar is an idyllic location for a truly unique getaway where you can leave the everyday behind. Special dietary options, such as vegetarian, vegan, and non-gluten, are available in the Asilomar dining hall. For all rooms each person must make their own reservation. After entering your personal information you will see a section for “Other Information.” In the box labeled “Roommate/Additional Request” add the names of the other person(s) you will be sharing a room with. Your roommate will do the same, adding your name to "Other Information." If you prefer to use the telephone: You can call Asilomar at 888.635.5310 but you must tell them you are calling to reserve a room for the 2019 ATP International Transpersonal Conference. Location: The Asilomar Conference Grounds is located just 71 miles south of San Jose and 120 miles south of San Francisco. It is conveniently served by Monterrey Regional (MRY), San Jose (SJC), San Francisco (SFO), and Oakland (OAK) airports. From San Francisco and San Jose: Take Highway 101 South to Highway 156 West. Take Highway 156 West to Highway 1 South, through Monterey to the Pebble Beach/Pacific Grove exit. Turn right on Holman Highway/Highway 68 West and continue until it become Forest Avenue. Continue on Forest Avenue and turn left onto Sinex Avenue, which ends at the front gates to Asilomar Conference Grounds. From Oakland: Take Highway 880 South to Highway 101. Then follow the directions above. From Los Angeles: Take Highway 101 North to Highway 156 West. Once on Highway 156 West, follow the directions above.